Rottnest Island is located approximately 18 kilometres west of Perth. 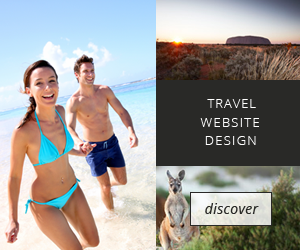 It is one of Western Australia’s most popular holiday destinations, with over 400,000 visitors per year. Rottnest’s popular appeal lies in its spectacular coral fringed beaches and sparkling sands, ideal for swimming, surfing or sunbathing. You can enjoy snorkelling, diving, guided tours or bus and train tours. Public vehicles are not permitted on Rottnest, so hire a bike and use pedal power to see the sights. During the peak period (November to April) there are various marine activities to enjoy, and the gift shop has many special souvenirs to remind you of your visit to the island. The cute and mischievous marsupials that live on Rottnest, the quokkas, are another of the island’s attractions. They are almost unique to the island and resemble small kangaroos, pouches and all! Winter is a popular period on the island, with warmer temperatures and often less rain than Perth. There are also special discounts on accommodation and special rates for senior citizens. The island boasts all the facilities required for overnight and daytripping visitors as well as a unique history and a spectacular environment. Rottnest runs many events throughout the year, the largest of which is the annual Cottesloe to Rottnest swim held every February. The swim is approximately 20 kilometres long and attracts around 1,200 competitors. If you plan to stay over, there are accommodation options to suit any budget, from beachfront villas, hotel and lodge accommodation to cabins and tent sites. It is recommended to book you accommodation well in advance. A range of food is available from a la carte restaurants, a cafe, the Island’s hotel, bakery, and take away outlets. Ferries to the Island depart regularly from Perth, Fremantle and Hillarys Marina. Rottnest, or ‘Rotto’ as it is affectionately known by Western Australians, is a small island situated just off the coast of Perth, famous for its snorkelling, diving, surfing and swimming.Â The semi-arid Mediterranean style climate and indigenous flora and fauna of this island provide the backdrop to a special holiday experience. The diversity of fish, and the numerous shipwrecks found around the island make Rottnest Island a favourite site for divers and snorkellers. There are thirteen historic shipwrecks found here and many species of tropical fish make their home in and around the numerous reefs. Rottnest Island boasts some of the best surfing conditions in the state.Â Strickland Bay, Salmon Bay and Stark Bay in particular are popular for surfers and bodyboarders. The swimming at Rottnest is superb with many sheltered bays and beaches perfect for a day in the water. Rottnest Island is also popular site for recreational fishing. One reason for the idyllic atmosphere is the absence of cars. Bicycles are the popular mode of transport and can be hired on the island.Â There are many other land-based activities available including guided historical tours and the local golf course. Rottnest wouldn’t be Rottnest without the quokkas, the small marsupials which inhabit the island and were the inspiration for the island’s name. The guided ‘quokka walk’ is a popular way of viewing these cuddly creatures. There is a range of accommodation available on the island including villas, units, bungalows, cabins, tent sites and youth hostel facilities The Rottnest Hotel and Rottnest Lodge also offer accommodation. Getting to Rottnest is easy.Â Ferry services leave daily from Perth, Fremantle and Hillarys Boat Harbour in Sorrento, while charter plane services are also available.